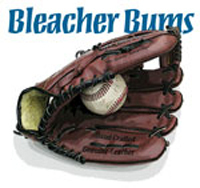 Bleacher Bums takes place in the bleachers of Chicago's Wrigley Field. The characters are a bunch of Chicago Cubs fans, watching a game in progress on a summer afternoon. Most of them have been gathering here for some time and know each other; even if they might not necessarily like or tolerate each other. Beer is being drunk, hot dogs are being eaten, and friendly wagers start to take on increasing importance.